Air conditioning keeps you cool and dry indoors when it’s hot and muggy outside. A well-functioning AC system is especially important to people with allergies or asthma, who take refuge indoors when pollen counts and ozone levels are high. Logan Home Energy Services has highly effective indoor air quality products that can get rid of up to 98 percent of airborne contaminants. In addition to ventilators that can introduce fresh, clean air into tightly sealed spaces, our air humidifiers can balance indoor humidity levels and introduce moisture into homes or businesses where the air is excessively dry. We also install state-of-the-art air cleaners and air purifiers, specifically designed to trap even the smallest airborne particles. Contact us today to evaluate your home's air conditioning system to ensure its efficiency and that it is the best option for your home. We service High Point, Greensboro, Winston Salem, Clemmons, Kernersville, Pfafftown, Lewisville, Walkertown, Colfax, Oak Ridge, and all nearby locations. Indoor air quality is essential for a safe and healthy home. 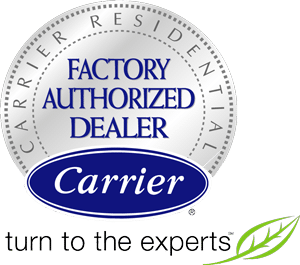 Carrier Products offers strategic solutions to address your air issues and remove common air pollutants. If you rely on air conditioning to reduce allergy and asthma symptoms, be sure your system is equipped with an efficient filter, such as one with a MERV (Minimum Efficiency Reporting Value) rating of 8 or more. As your trusted air conditioning contractor, we will first make sure your air conditioning unit can handle using a high-efficiency filter, such as one with a MERV of 13. If the blower is not powerful enough, you may end up restricting the system's airflow, reducing the system's efficiency, and possibly overworking and damaging the condenser. Also, be sure to replace your filter frequently so as to strengthen its efficiency. Contact us today to schedule an estimate for our services or a home energy audit to help identify the sources of the issues and provide the most cost-effective and efficient solutions. We proudly serve homeowners in and around Greensboro, Winston Salem, High Point, Clemmons, Kernersville, Pfafftown, Lewisville, Walkertown, Colfax, Oak Ridge, and all surrounding areas.